Having spent Christmas-New Year in Australia, only got onto the snow for the first time last week. Everyone was telling me not to bother as it had not snowed since Dec 13 and the snow was not in good condition. But I woke up on the morning I was heading up to the Juras and checked the snow report to find 4 cm of fresh snow had fallen early that morning. So headed up to the Col de Faucille with the boys to find all the trees covered with a light cover of fresh snow and the skiing was great. 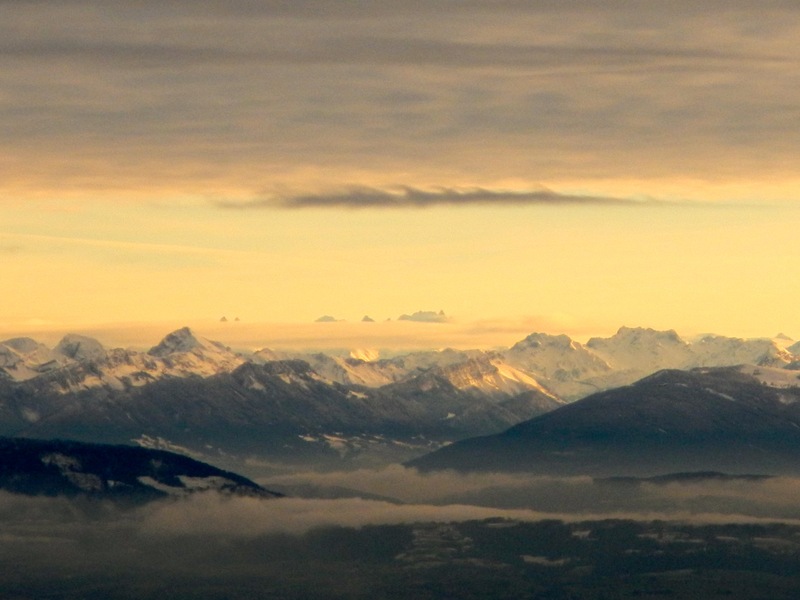 The Juras are to the west of Geneva, and not as high as the Alps. Col de Faucille is about a 30 minute drive from home. 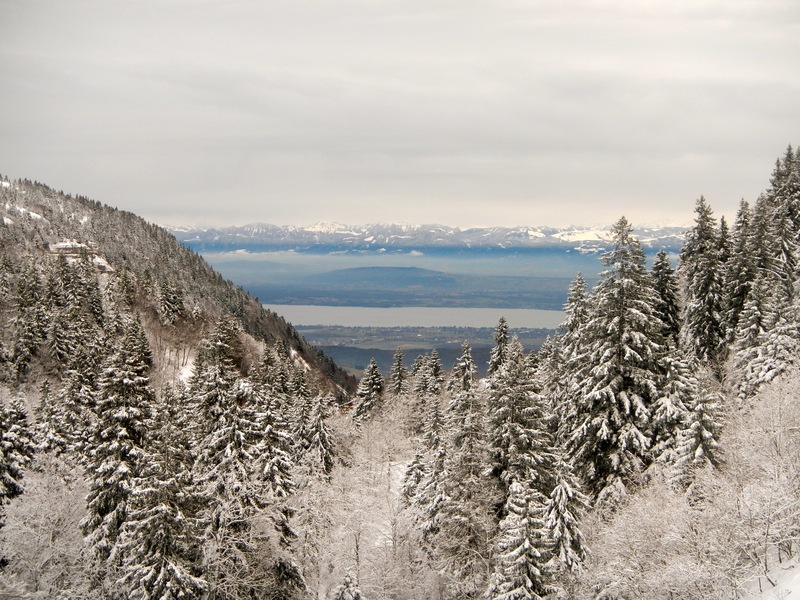 The photo on the left shows the view looking across Lake Leman (and the villages north of Geneva) to the Swiss Alps. Altitude is about 1500 m where I took this photo. We skied until it was almost getting dark. 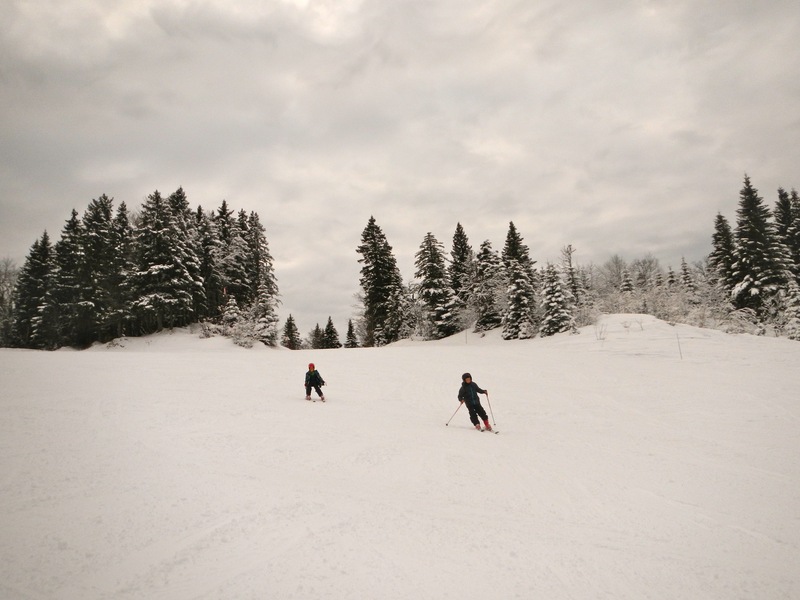 Apart from the joy and adrenaline of the skiing, the views and the snowy forests around us were spectacular. This entry was posted in Mountains by colinmathers. Bookmark the permalink.